I knew it since they started and unfortunately did not pay attention. But now when BTC is growing and reaching almost 10.000 USD per BTC I started to think how to get some of those Bitcoins. So I took a look and found out we can mine BTC on our PCs which these days does not work as it needs special PCs… you can buy those and mine BTC by yourself. But there are also companies which work in cloud and mine BTC or other cryptocurrencies for you. So its like with webhosting… you buy/rent some cloud computing power and that will work for you. I tried that few months ago and it looks like my investment is going to be back already. 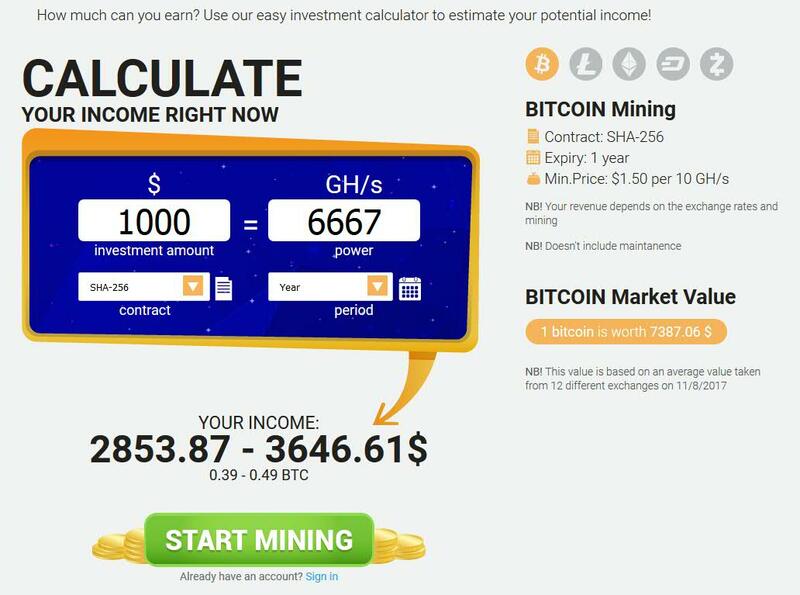 It takes about 3-4 months to get your investment back assuming cost for energies is not growing and BTC is not going bellow lets say 4000USD per BTC. Hasflare has nice profit calculator which will show you how much you would earn. ROI is about 240% which seems to be unrealistic but I see on my own investment that after 4 months its going to be back so it might be possible. For such you need to use SHA-256. You can get also you Debit card where your BTC earnings would be sent. There are also other ecurrencies which can be mined. Ethereum, ZEC or DASH but BTC seems to be most profitable.